I COULD NEVER BE A DANCER worked on a Web CF, “Never Let You go” for Kanebo Allie as a choreographer. 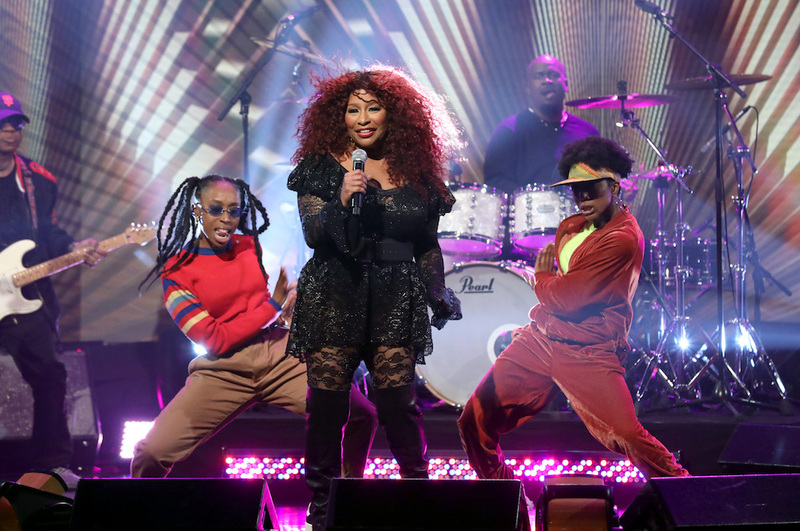 I COULD NEVER BE A DANCER worked on Chaka Khan’s live performance on “The Ellen Show” as a choreographer. 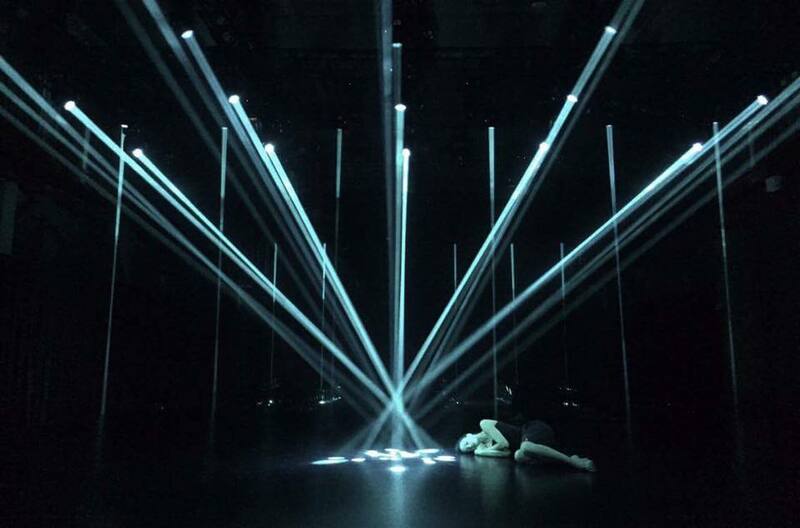 I COULD NEVER BE A DANCER worked on the staging and choreography for Nike 2019 FIFA Women’s World Cup National Team Kit Unveil collection. 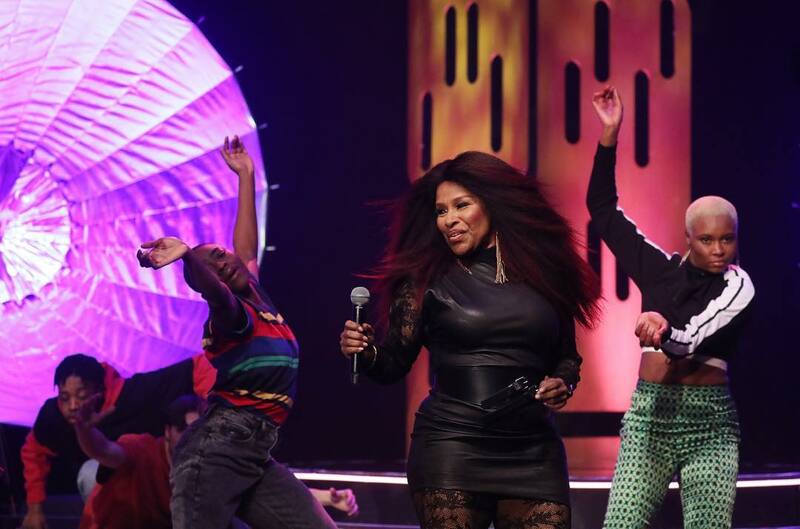 I COULD NEVER BE A DANCER worked on Chaka Khan’s live performance on “The Graham Norton Show” as a choreographer. 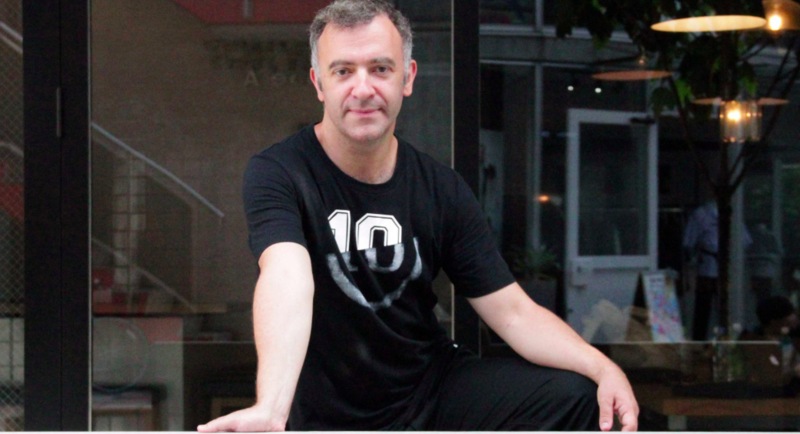 I COULD NEVER BE A DANCER’s member, Olivier Casamayou’s interview is featured in NEWREEL. I COULD NEVER BE A DANCER worked on a global TVCF,“Premium Ram UNIQLO 2018 Fall/Winter” for Uniqlo as a choreographer. 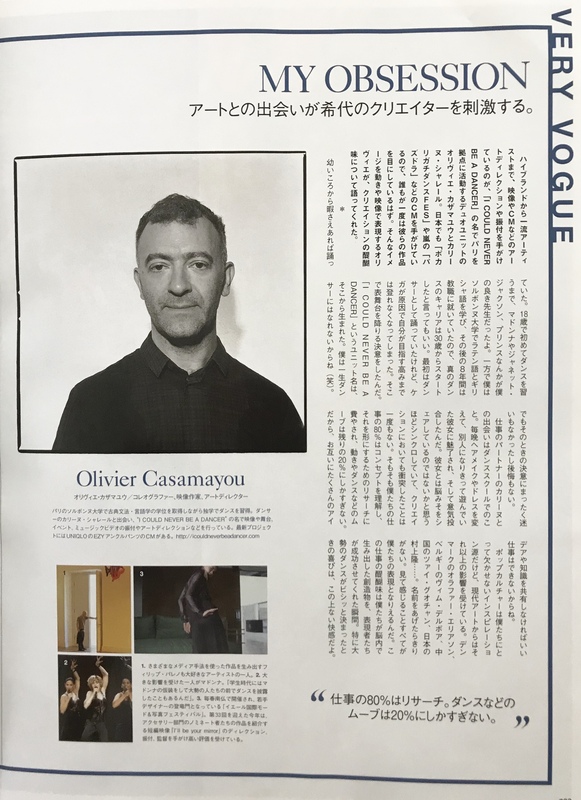 Olivier Casamayou from I COULD NEVER BE A DANCER was interviewed on “My Obsession” for VOGUE JAPAN (October Issue). 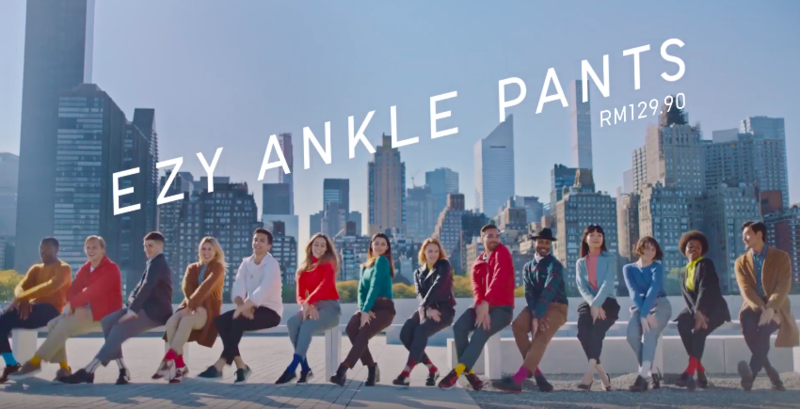 I COULD NEVER BE A DANCER worked on a global TVCF, “Knit Extra Fine Merino UNIQLO 2018 Fall/Winter” for Uniqlo as a choreographer. I COULD NEVER BE A DANCER and Kumiko Iijima worked on TVCFs for DMM.com‘s 20th anniversary, featuring Takeshi Kitato and 24 dancers as a choreographer and a costume designer & stylist respectively. 24 dancers represent 8 different business groups in DMM (1. Robot, 2. E-book, 3. 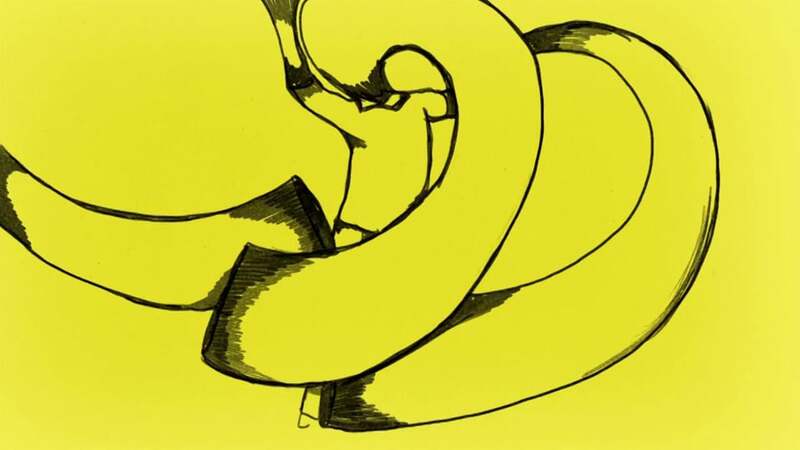 Animation, 4. Game, 5. Rental car, 6. Africa, 7. Solar panel and 8. Music) and those 8 elements are incorporated into costumes and choreography. I COULD NEVER BE A DANCER worked on a global TVCF, “UNIQLO ANKLE PANTS – 18FW EZY Ankle Pants” for Uniqlo as a choreographer. A documentary movie about Pocari Gachi Dance FES is launched. I COULD NEVER BE A DANCER worked for the Pocari Gachi Dance FES and Pocari Sweat TVCFs as choreographers. 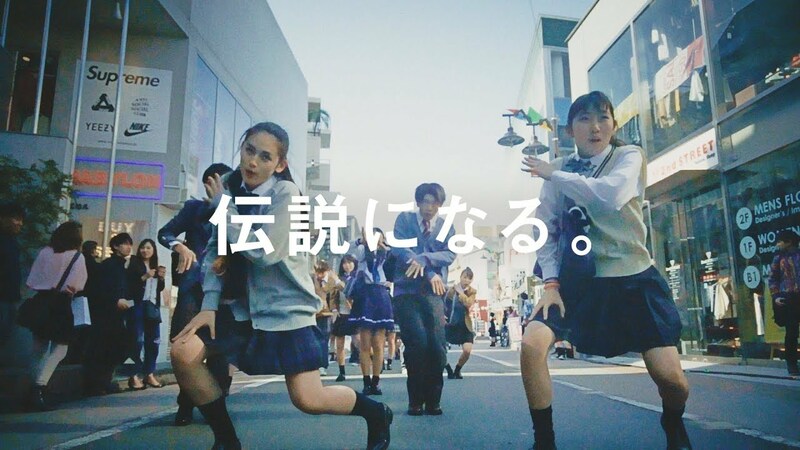 “POCARI GACHI DANCE FES,” which I COULD NEVER BE A DANCER worked as choreographer, made the Guinness world record after airing a TVCF with 4,348 dancers. I COULD NEVER BE A DANCER worked on Chaka Khan’s new MV, “Like Sugar” as a choreographer. It is featured in Rolling Stone and PromoNews. I COULD NEVER BE A DANCER worked on a store opening party in Palo Alto, U.S. for HERMÈS as a choreographer. 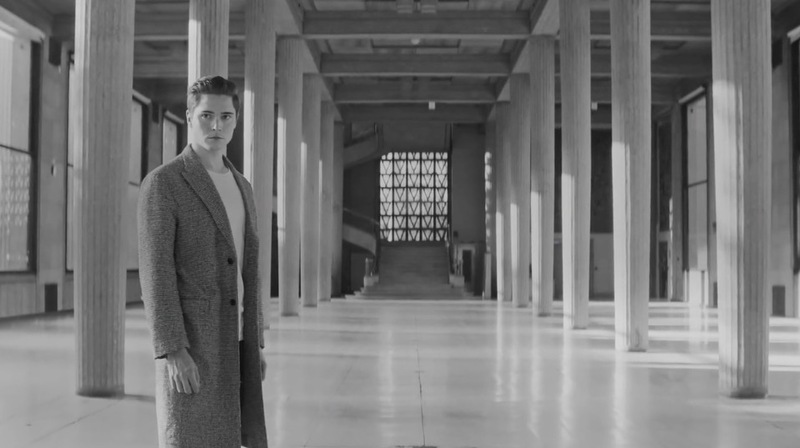 I COULD NEVER BE A DANCER worked on the short film “I’ll be your mirror” for the 33rd international fashion festival in Hyeres, presenting the 10 finalists for the accessory design award as a film director, creative director, and choreographer. 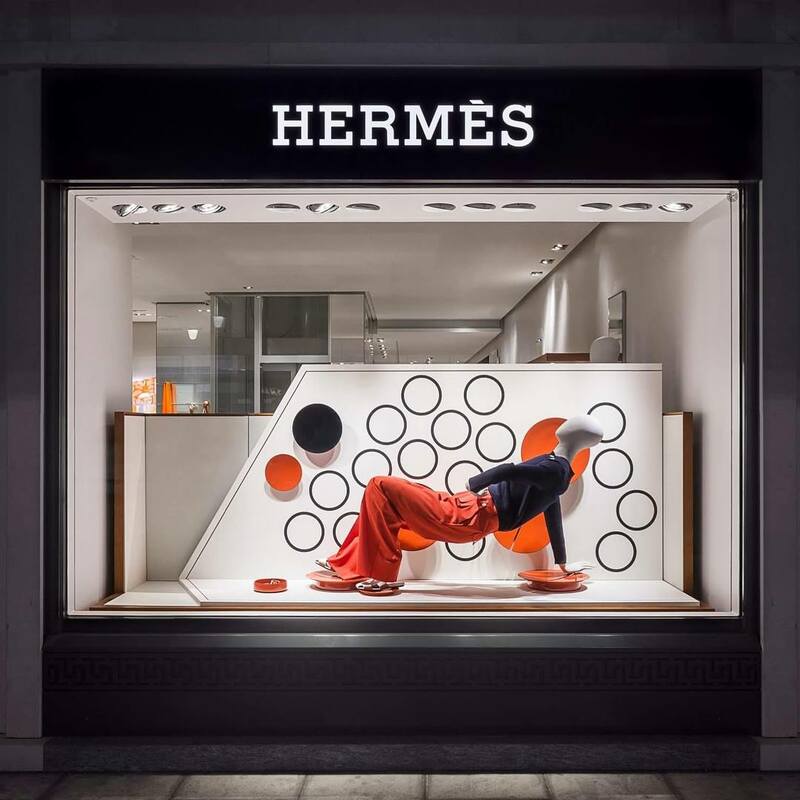 I COULD NEVER BE A DANCER worked on the concept and design of the fashion windows for Hermès’ “le jeu” (Feb.-May 2018) in Geneva, Switzerland. I COULD NEVER BE A DANCER worked on “Sabine Getty: Woman On The Verge” for British VOGUE as a choreographer. I COULD NEVER BE A DANCER worked on a TVCF, “POCARI SWEAT – Our after school” for “POCARI SWEAT,” a sports drink manufactured by Otsuka Pharmaceutical. Invited by the French embassy during the Rencontres franco-chinoises de la mode and Shanghai fashion week, I COULD NEVER BE A DANCER is now holding an exhibition, “Just In Time” from March 29 to April 19 at the Bailian group fashion center in Shanghai and Beijing. I COULD NEVER BE A DANCER worked on HER for their MV for “We Choose” as a choreographer. 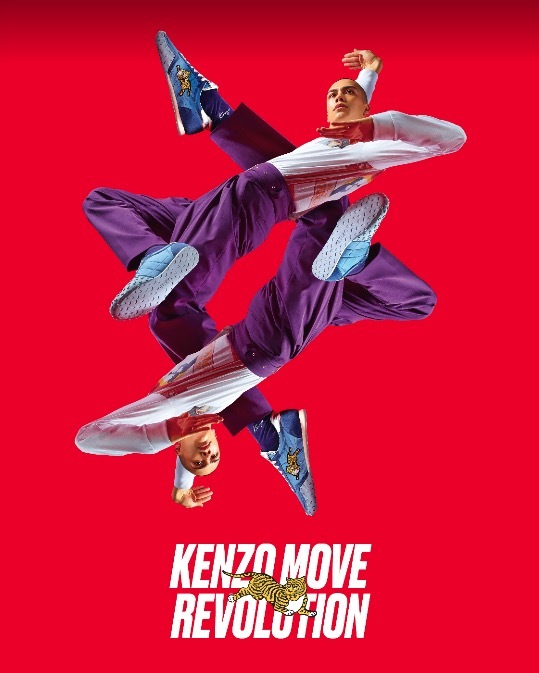 I COULD NEVER BE A DANCER worked on “MOVE” for KENZO as a choreographer and casting director. I COULD NEVER BE A DANCER worked on a TV show series,”Stasera Casa Mika” as a choreographer. 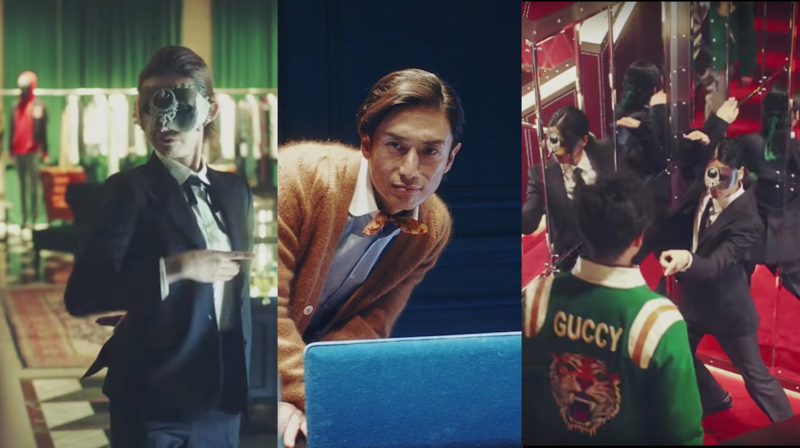 I COULD NEVER BE A DANCER worked on a promotional film for GUCCI as a choreographer. I COULD NEVER BE A DANCER worked on a film for TUI UK as a choreographer. I COULD NEVER BE A DANCER worked on a film “L’Absolu Rouge & Gloss” for LANCÔME as a choreographer. 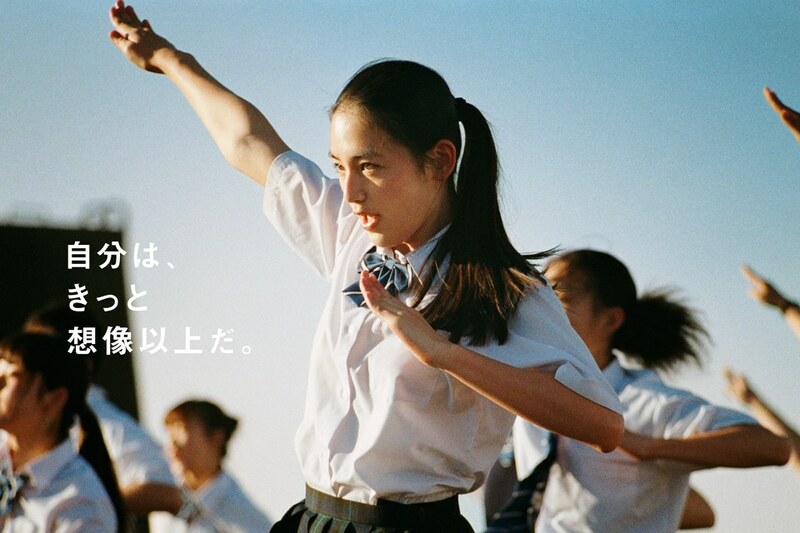 I COULD NEVER BE A DANCER worked on a TVCF “POCARI SWEAT – Dancing School Field Trip” for “POCARI SWEAT“, a sports drink manufactured by Otsuka Pharmaceutical Co., Ltd. I COULD NEVER BE A DANCER works on Cirque du soleil’s new show, “SCALADA STELAR 2017” as a co-stage director & choreographers. 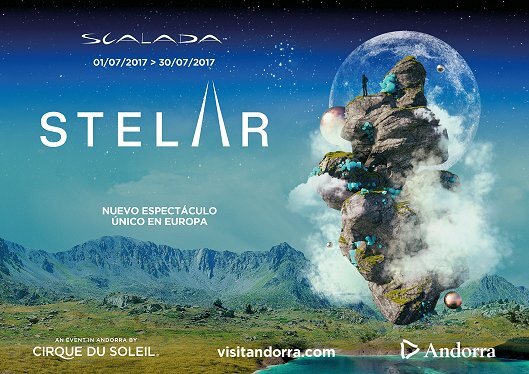 “SCALADA STELAR 2017” will be shown in Andorra from July 1st to July 30th. Please see this link for more detailed info. If you are around this area, please check it out! Otsuka Pharmaceutical’s Pocari Sweat 2016 TVCFs, “Yell” version, “Thanks” version and “Arigato” version I COULD NEVER BE A DANCER choreographed were named the winner of the TV advertising award under TV advertising series category by the 70th Dentsu Advertising Awards! 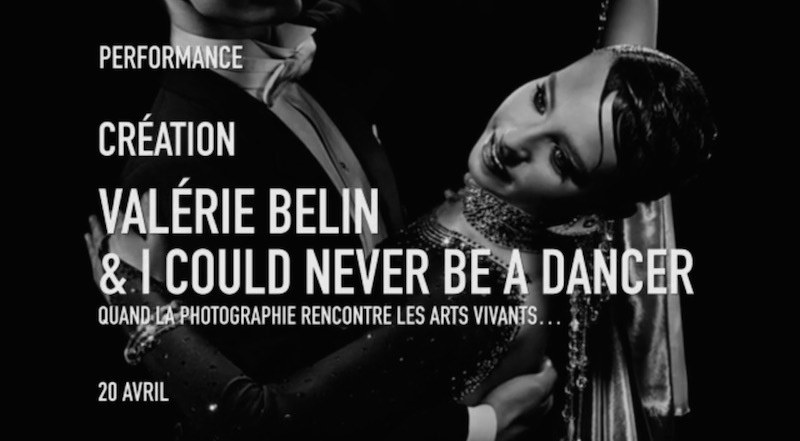 I COULD NEVER BE A DANCER worked on “DANCING ROMANCE” a promotional campaign film for Fondation Visio as a choreographer. The campaign aims to raise funds for research and mobility assistance for partially sighted people. 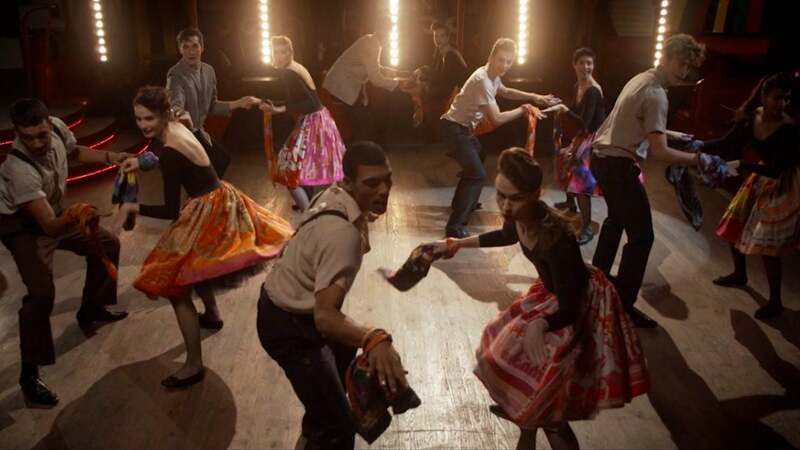 In order to cast a partially sighted dancer, the casting was opened to five continents and a young American man who previously competed on “America’s Got Talent” stars in this film. I COULD NEVER BE A DANCER worked on a new TVCF “Pocari Sweat India Version – we tried dancing the Pocari’s choreography in India, a country of Bollywood” for Pocari Sweat by Otsuka Pharmaceutical Co., Ltd. 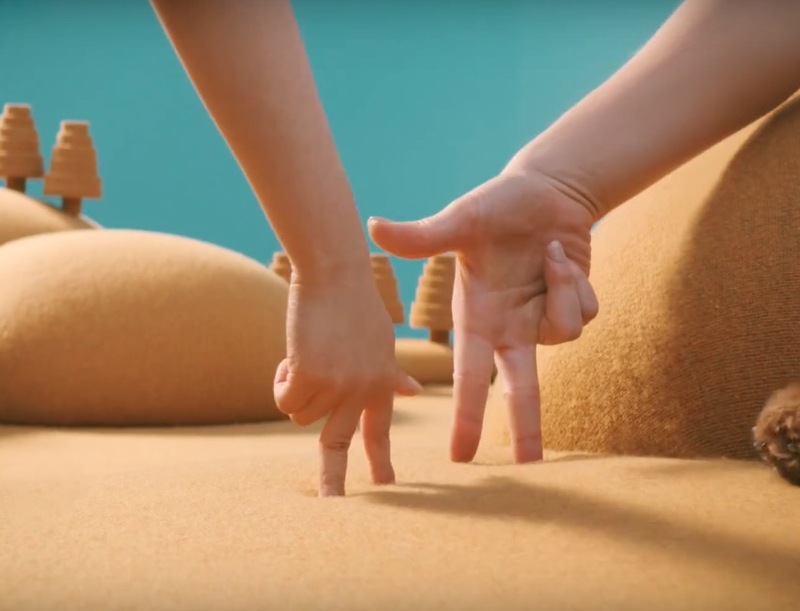 I COULD NEVER BE A DANCER worked on a TVCF for “Pocari Sweat – Dancing opening ceremony” version, featuring 300 dancers for Otsuka Pharmaceutical Co., Ltd. 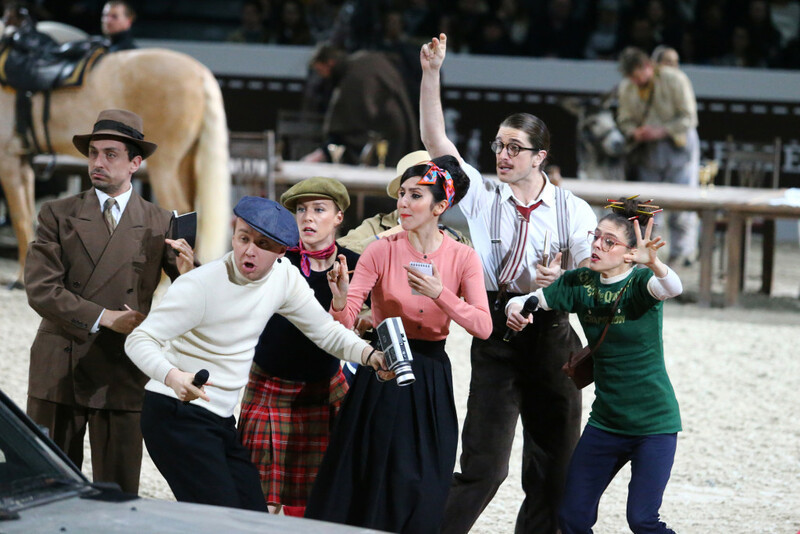 I COULD NEVER BE A DANCER worked on “SAUT HERMÈS,” an annual show jumping competition held at the Grand Palais in Paris, France on 17, 18 and 19 March as a casting director and a choreographer. 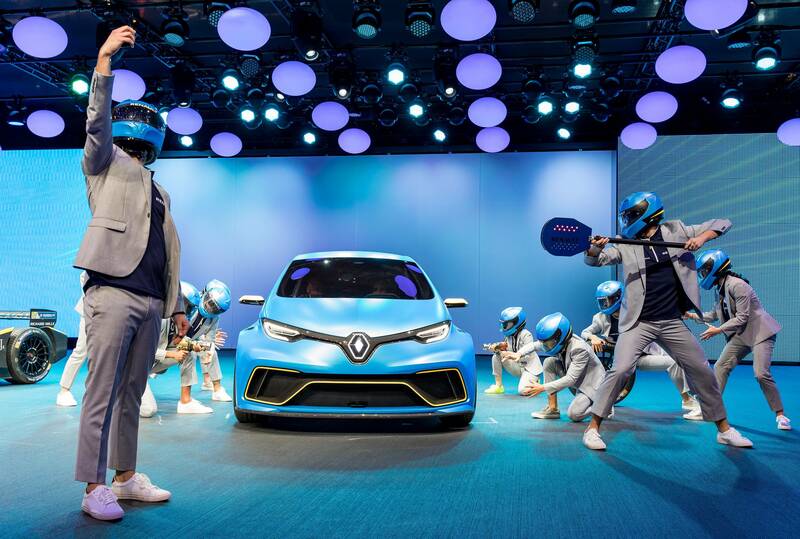 I COULD NEVER BE A DANCER worked on a show for RENAULT at Geneva International Motor Show 2017 as an art director , choreographer and casting director. I COULD NEVER BE A DANCER worked on a film “NUMERO 5 L’EAU” for CHANEL featuring Lily-Rose Depp as a model coach. I COULD NEVER BE A DANCER worked on a film “Cape Cod’s unexpected effects” for Hermes as a director. I COULD NEVER BE A DANCER worked on a show at Tokyo National Museum for Cartier Magicien, Cartier’s new high jewelry collection as a director and a choreographer. “KISEKI,” a TV program on BS Fuji featuring Cartier Magicien including interviews will be broadcasted on Friday 2nd December from 23:30 to 23:55 (in Japan time). Currently, I COULD NEVER BE A DANCER has been working on a TV show series,”Stasera Casa Mika” as a choreographer. You can watch these videos from the following links. I COULD NEVER BE A DANCER’s showreel 2016 is launched. Please check it out! 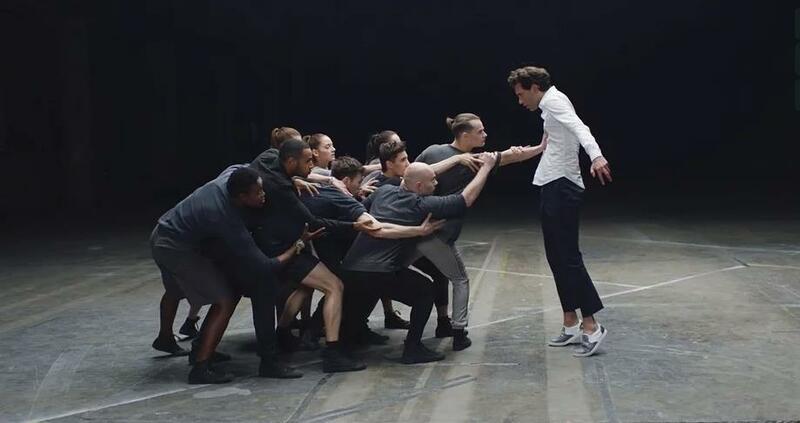 I COULD NEVER BE A DANCER worked on a music video 16 Beat by Metronomy for La Blogothèque, a music and culture website, as a choreographer and a casting director. 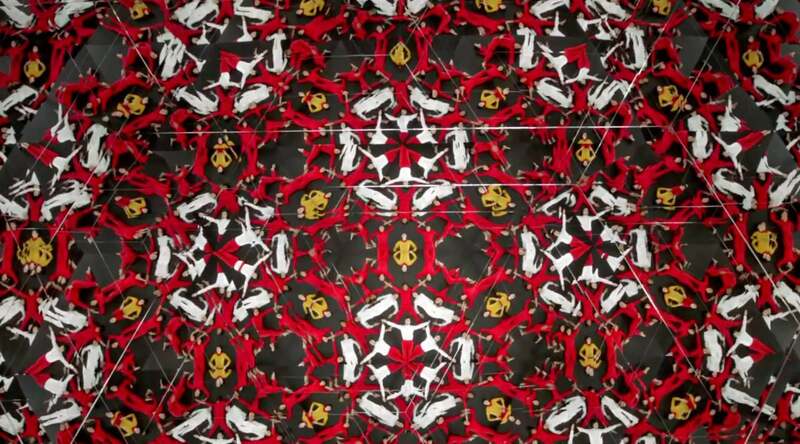 This project is featured in Noisy by Vice. Please check it out from this link! 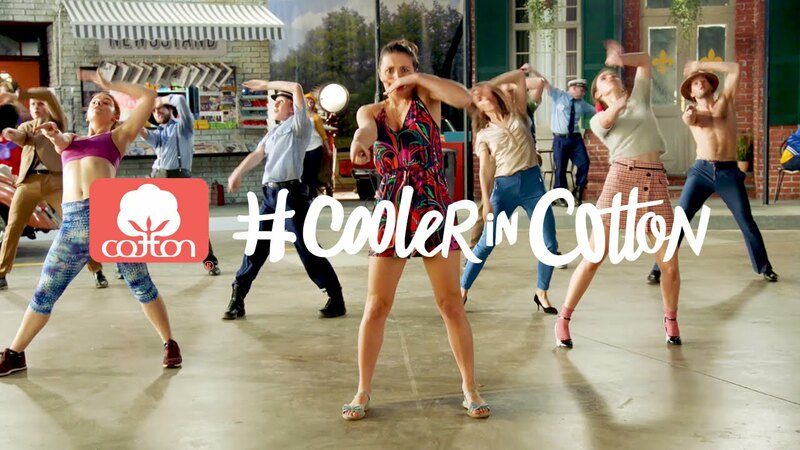 I COULD NEVER BE A DANCER worked on a new TVCF “Cooler in Cotton” for Cotton Inc. as a choreographer. 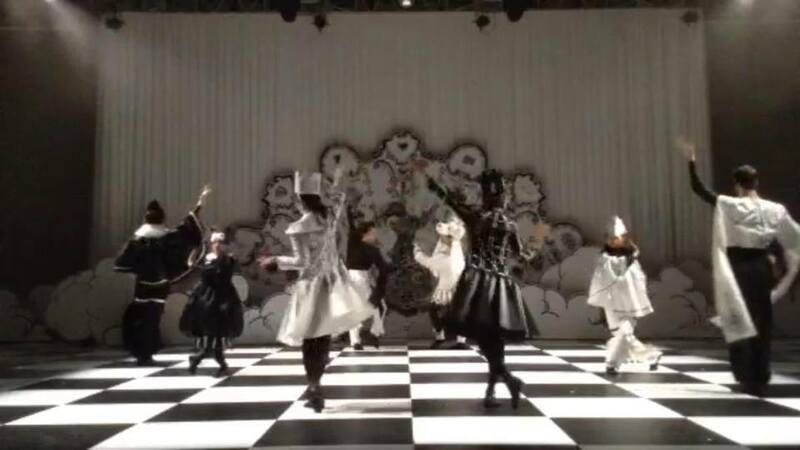 New videos for POCARI SWEAT commercial film choreographed by I COULD NEVER BE A DANCER are released. 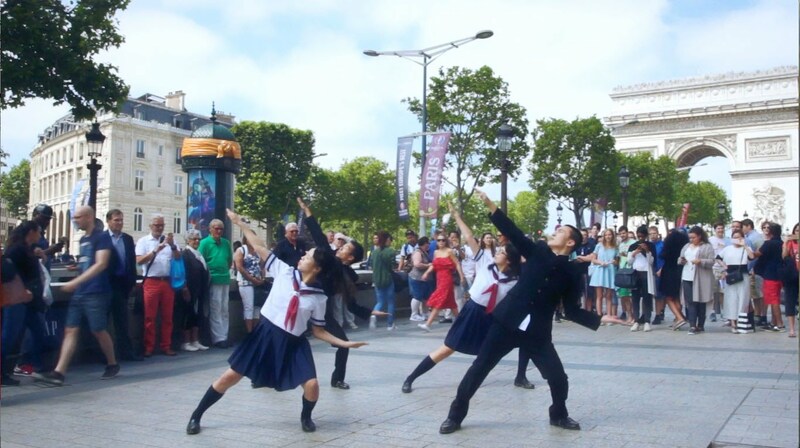 Besides the TVCF “Thanks Version“, you can also watch videos online “Havana Version – we tried dancing the Pocari’s choreography in Havana, Cuba where people seem cheerful, easygoing and good dancers”, “Paris Version – we tried dancing the Pocari’s choreography in Paris where the Pocari’s choreographers live” and “Tokyo Version – Lesson Video”. I COULD NEVER BE A DANCER worked on a show for CARVEN’s S/S collection as a choreographer. I COULD NEVER BE A DANCER worked on an event for “NikeLab x Olivier Rousteing” as a choreographer and a casting director. 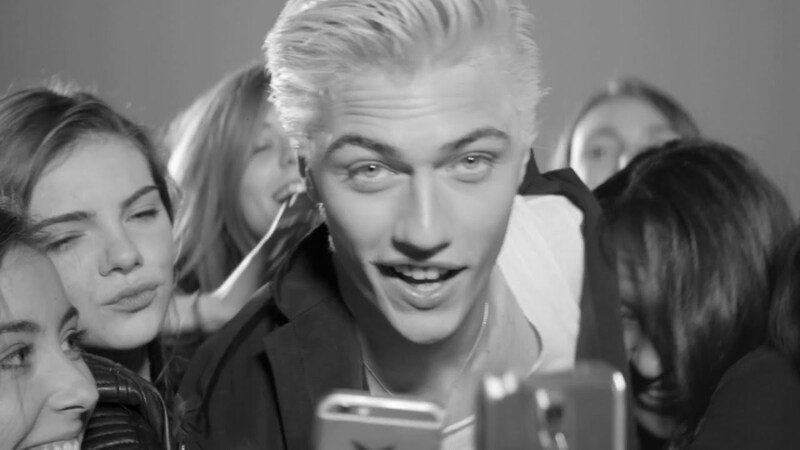 I COULD NEVER BE A DANCER worked on a TVCF for L’Oréal Men Expert Hydra Power featuring Lucky Blue Smith as a model coach. I COULD NEVER BE A DANCER is featured in madame FIGARO japon (July 2016 issue) and madame FIGARO japon (web). Please check it out from this link. I COULD NEVER BE A DANCER was interviewed by BETC POP, a french advertising agency. 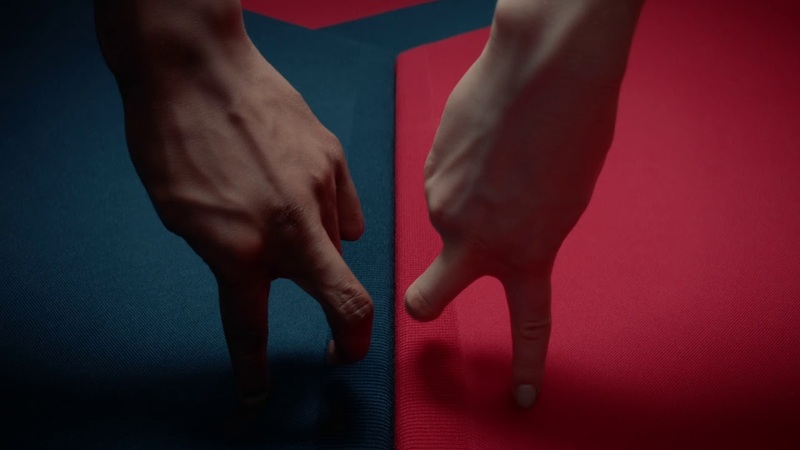 They talk about the latest work for Lacoste “Support With Style.” Please check it out from this link! 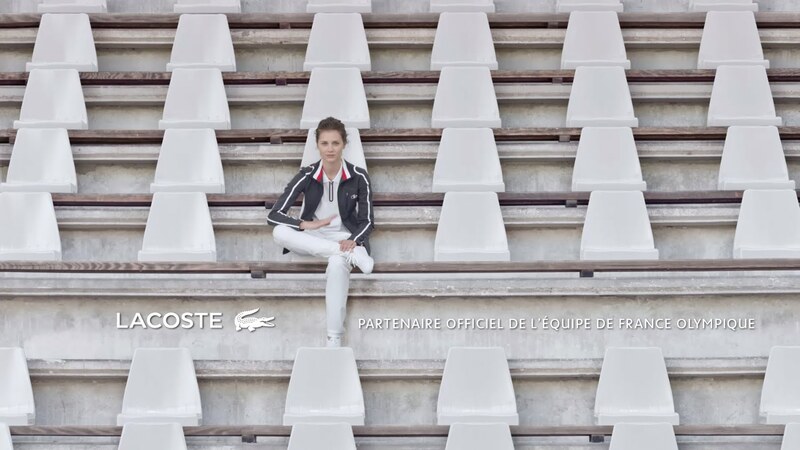 I COULD NEVER BE A DANCER worked on “LACOSTE – SUPPORT WITH STYLE,” featuring official French uniforms for Rio 2016 Olympics Games as a director, a choreographer and a casting director. I COULD NEVER BE A DANCER worked as a choreographer for “Swagger,” a documentary / fiction film by Olivier Babinet, selected for The ACID Programme at the Cannes International Film Festival 2016. Here is a behind the scenes’ video for POCARI SWEAT commercial film choreographed by I COULD NEVER BE A DANCER. I COULD NEVER BE A DANCER worked on a TVCF for “POCARI SWEAT“, a sports drink manufactured by Otsuka Pharmaceutical Co., Ltd. I COULD NEVER BE A DANCER participates in the 31st International Festival of Fashion and Photography in Hyères, France. The retrospective video exhibition “Just in Time” opening will be held on 23rd April at the Templiers tower and the festival runs until 25th April 2016. 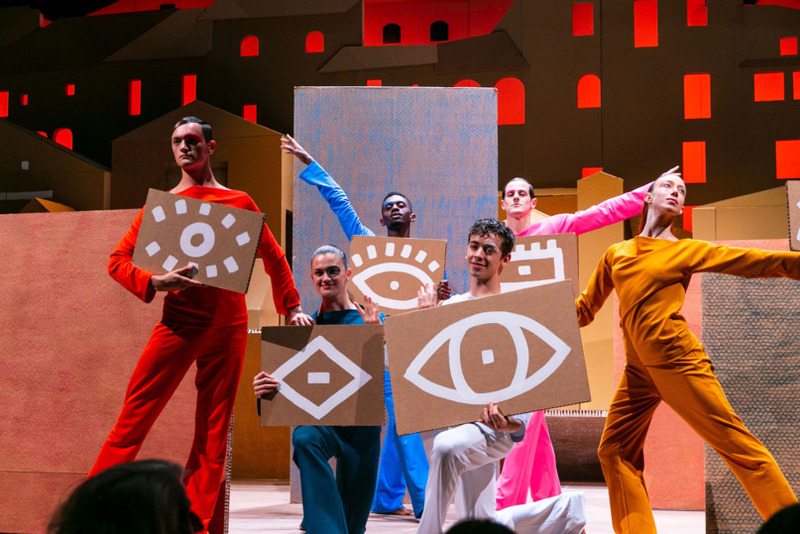 I COULD NEVER BE A DANCER worked on “Le MANifeste d’Hermès – 5 tours de magie sur-mesure” for HERMÈS as a director, a choreographer and a casting director. 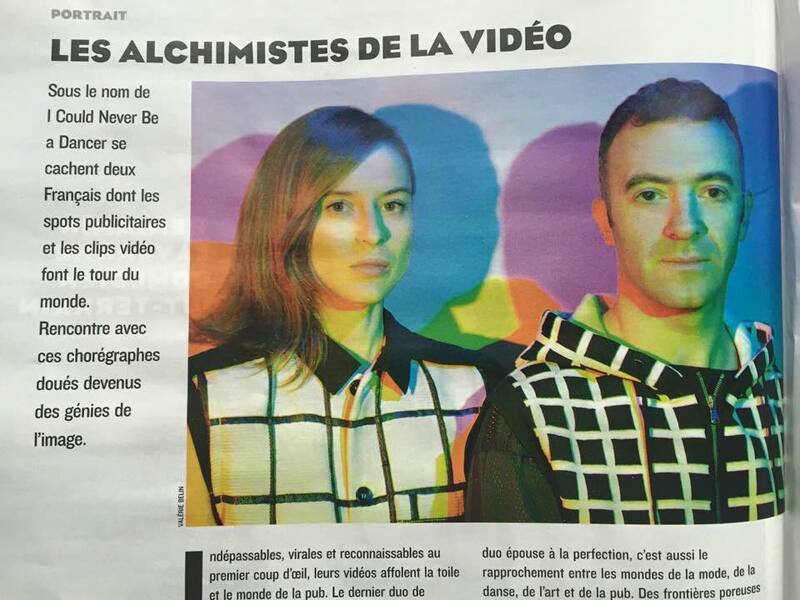 I COULD NEVER BE A DANCER is featured in the French Figaro Magazine, 11th December 2015. I COULD NEVER BE A DANCER worked on a new movie, “Cartier Diamonds,” featuring Karen Elson for Cartier as a choreographer and a model coach. 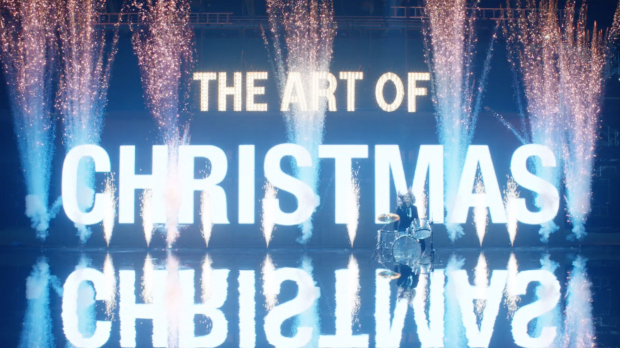 I COULD NEVER BE A DANCER worked on a Christmas TVCF campaign, “The Art of Christmas” for Marks & Spencer as a choreographer. I COULD NEVER BE A DANCER worked on Hyatt’s PR movie,”Anything Possible: Episode 1 Alexander & Juliette version” as a choreographer. 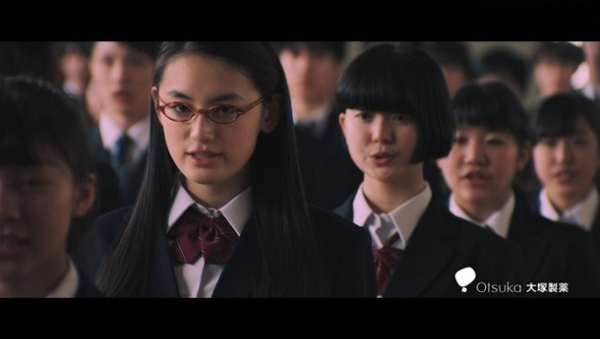 Kumiko Iijima and I COULD NEVER BE A DANCER worked on Kyary Pamyu Pamyu’s music video, “Crazy Party Night ~ Pumpkin Strikes Back” as a costume designer/stylist and a choreographer respectively. I COULD NEVER BE A DANCER worked on Lancôme 80th anniversary party‘s art direction, staging and music line up with agency Say Hmm. 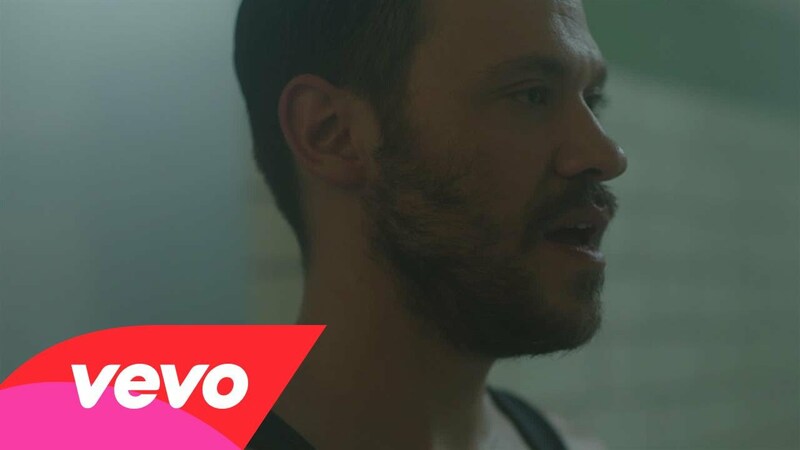 I COULD NEVER BE A DANCER‘s Music Video projects, “Good Guys” for MIKA and “Thank you” for Will Young are featured from LGBT’s point of view in white-screen.jp. Please check it out from this link. 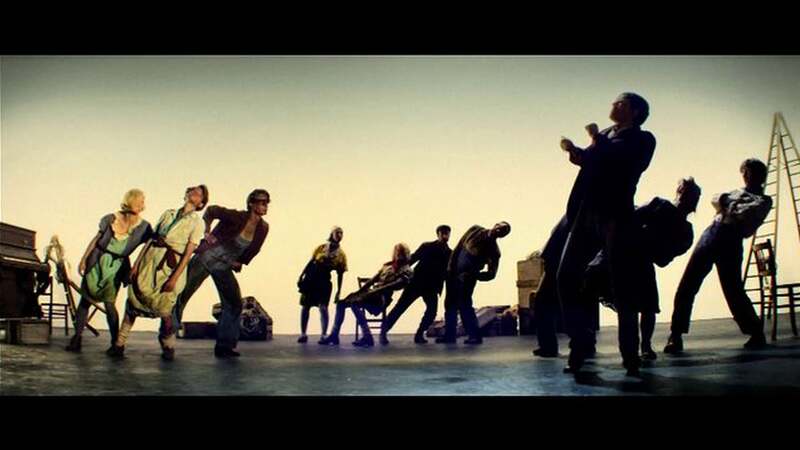 I COULD NEVER BE A DANCER worked on “Thank you,” a music video for Will Young as a choreographer and a casting director. 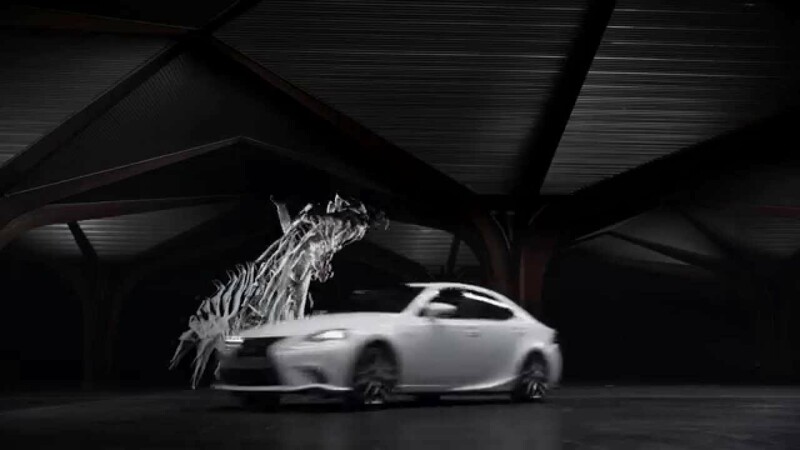 I COULD NEVER BE A DANCER worked on Lexus IS 2015 Flow’s TVCF as a choreographer. 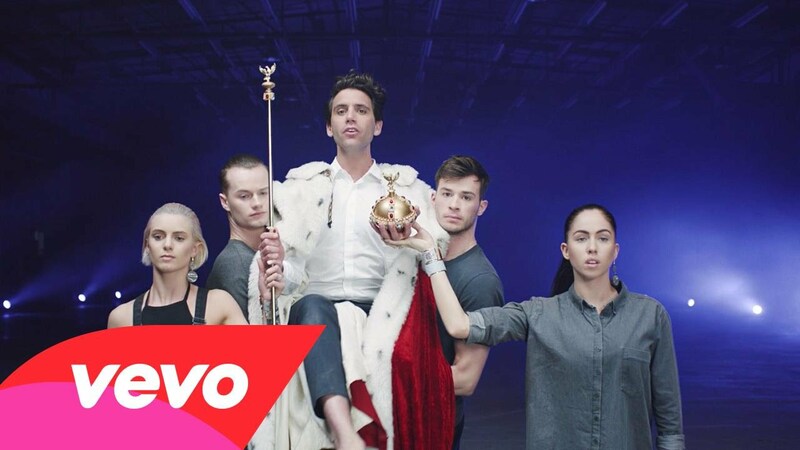 I COULD NEVER BE A DANCER worked on “Good Guys,” a new song from Mika’s new album, “No Place In Heaven” as a choreographer. I COULD NEVER BE A DANCER worked on a new TV CF, “Studio Line Hot” for L’Oreal as a choreographer and a model coach. I COULD NEVER BE A DANCER worked on a new in-flight safety demonstration video for Air France as a director, a choreographer and a casting director. I COULD NEVER BE A DANCER worked on “Wear what you wnat,” a TV commercial film for Android / Google watch as a casting director and a choreographer. 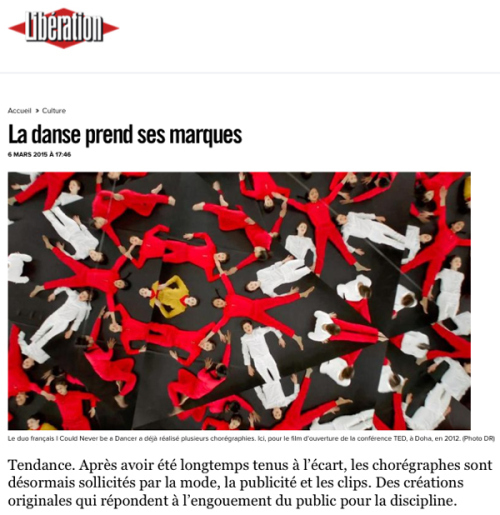 I COULD NEVER BE A DANCER is featured for its culture story, “La danse prend ses marques” (Dance takes its brands) in Libération, French newspaper on March 7th. Please checkit out if you are interested in reading its article in French! 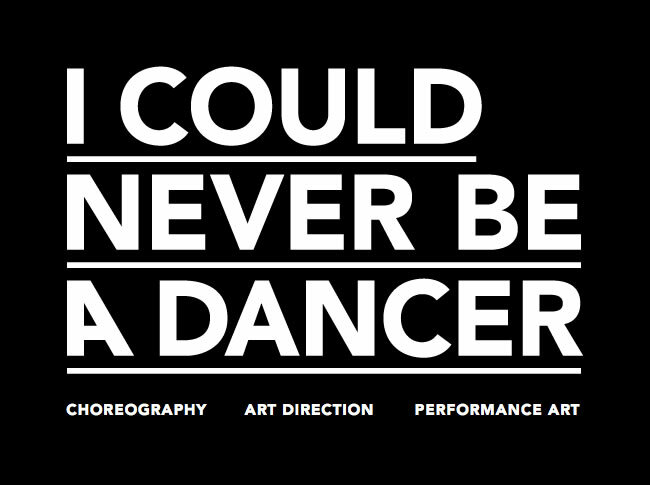 I COULD NEVER BE A DANCER’s showreel 2015 is launched. Please check it out! I COULD NEVER BE A DANCER worked on the choreography of Paco Rabanne’s new TV CF, “One Million Man Show,” featuring Sean O’Pry. I COULD NEVER BE A DANCER worked on the choreography of European Union’s promotion movie, “European Union is working for you” (6 films). 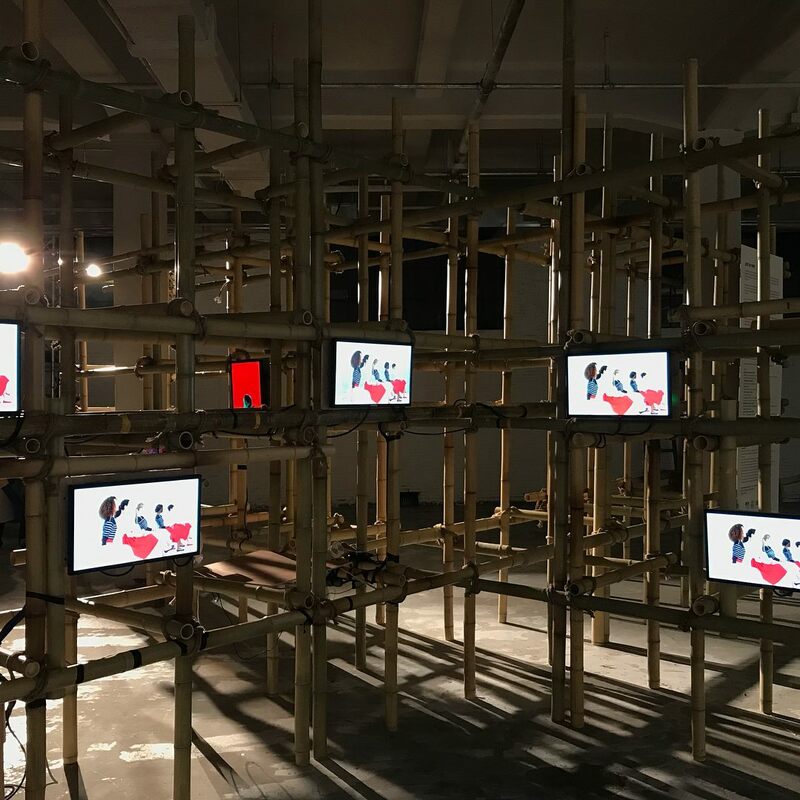 On 11/28, I COULD NEVER BE A DANCER worked on “Martell Noblige X Jason Wu Le Launch,” a launch event at the Shanghai old postal museum for a new bottle design by Jason Wu as a choreographer and a casting director. I COULD NEVER BE A DANCER directed and choreographed a fashion film, “Laura Love is in the air,” for Jalouse Magazine featuring a dancer / model, Laura Love with Dior outfit. 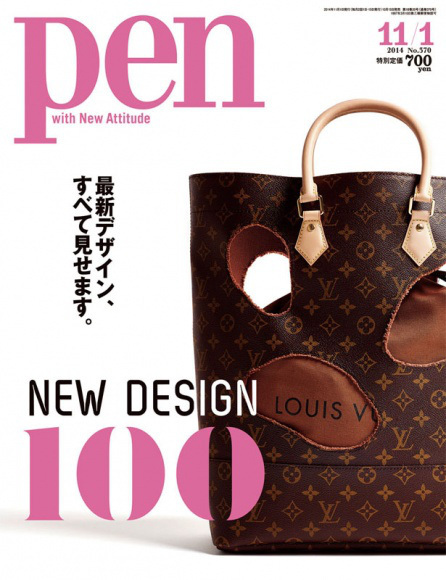 I COULD NEVER BE A DANCER is featured for their cover story, “NEW DESIGN 100” in PEN’s November issue. I COULD NEVER BE A DANCER was interviewed by white-screen.. They talk about the origin of their artist name, how they come up with an idea and proceed a project and their unique position in art and commercial industries. Please check it out from this link! I COULD NEVER BE A DANCER worked on “Wrong Club” as a choreographer. Summer is officially here! And I COULD NEVER BE A DANCER has something special for the occasion. 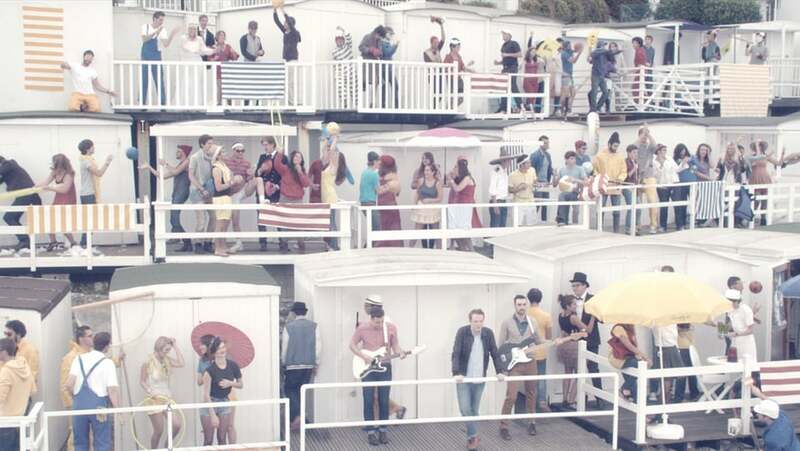 They worked on the casting and choreography of St. Honoré Summertime street party in Paris. These are the pictures! I COULD NEVER BE A DANCER worked on a music video for Kylie Minogue’s “Crystallize” as a casting director and a choreographer. I COULD NEVER BE A DANCER choreographed a pre-opening event of “The Dream of Polifilo” exhibition by Nicolas Buffe for Hermès Japon at Hara Museum of Contemporary Art in Tokyo. I COULD NEVER BE A DANCER‘s new showreel is launched. Please check it out! 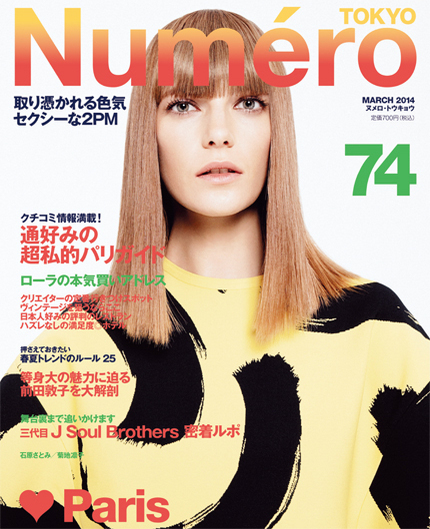 I COULD NEVER BE A DANCER is featured in “deep into Paris” as a Paris guide from a creator’s point of view in Numéro TOKYO, a fashion magazine (March 2014 issue). Please check it out. 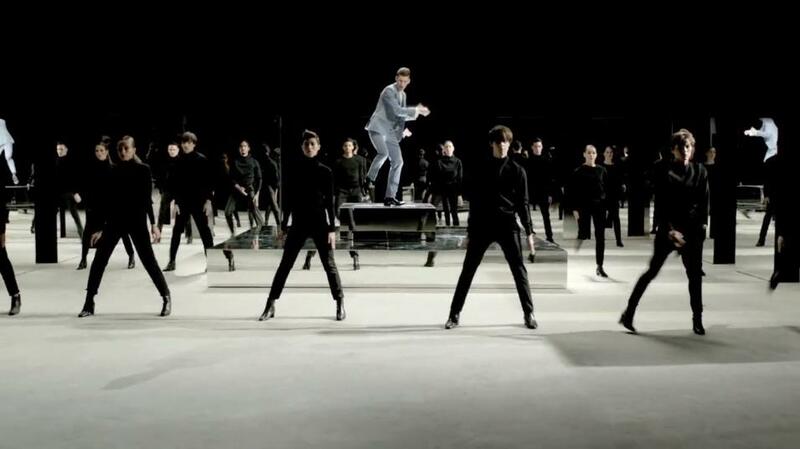 Willy Moon’s “Yeah Yeah” choreographed by I COULD NEVER BE A DANCER is nominated for best pop video at the UK music video awards. Olivier Casamayou is featured with Jackson (Jackson & His Computerband) in “Clique,” a French TV program. Jackson collaborated with I COULD NEVER BE A DANCER for “Blowing Roses,” a new CF for Chloé Perfume. 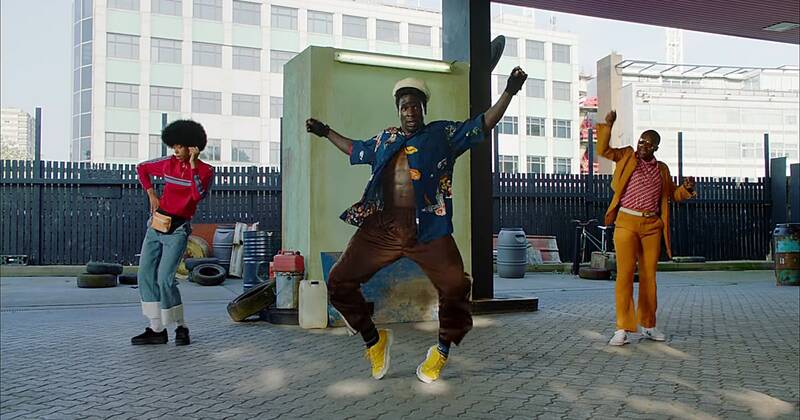 Olivier Casamayou worked on a new music video, “PPSD (Post Party Stress Disorder)” by Burning House as a choreographer and performed himself as a main animation character in the music video. I COULD NEVER BE A DANCER‘s project as a director, “Blowing Roses” for Chloé perfume is featured in VOGUE Italy. I COULD NEVER BE A DANCER worked on a new TVCF, “Studioline #TXT” for L’Oreal as a choreographer and a model coach. 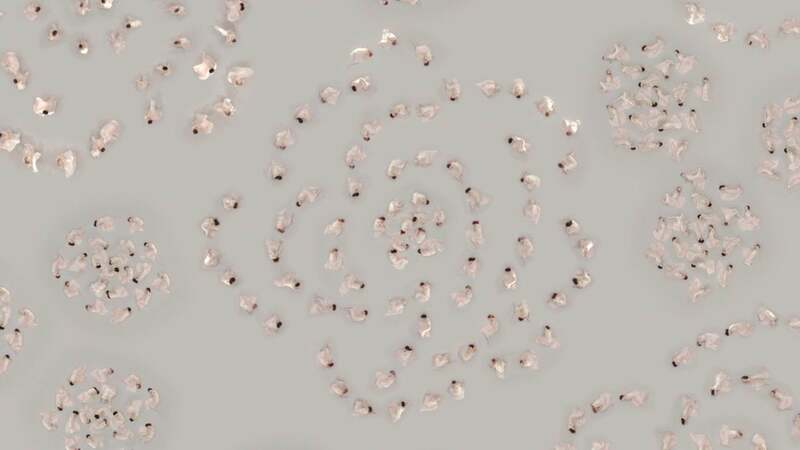 I COULD NEVER BE A DANCER‘s project as a director, “Blowing Roses” for Chloé perfume is featured in ELLE France. 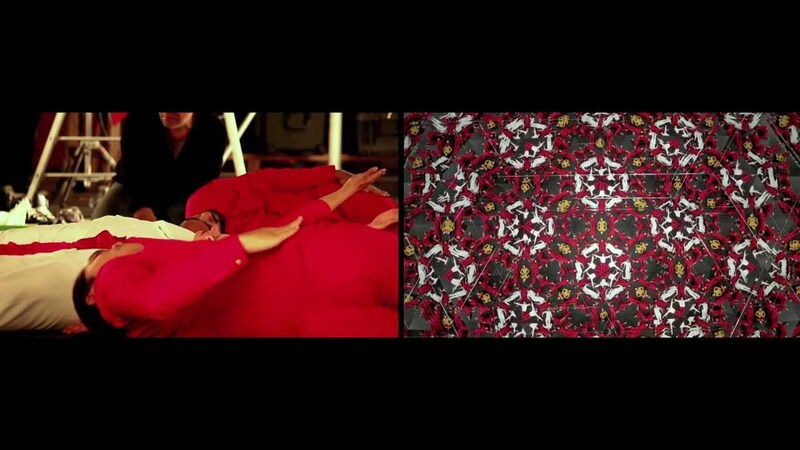 I COULD NEVER BE A DANCER worked on a new promotion video, “Eye Beams” for KENZO (Fall/Winter 2013 collection) based on a Bollywood concept as a choreographer and a casting director. I COULD NEVER BE A DANCER worked on a new CF, “Blowing Roses” for Chloé perfume as a director, a choreographer and a casting director. Dancers: Laureline Andrei, Caroline Blot, Camille Brulais, Anusha Emrith, Juliette Gernez, Elodie Lobjois, Laurine Ristoph, Suzanne Meyer, Fanny Sage, Charlotte Siepiora. I COULD NEVER BE A DANCER worked on a new promotion video, “Touche Eclat” for YSL foundation as a choreographer and a model coach. I COULD NEVER BE A DANCER‘s first project as a director, “Ballet Bag” for NINA RICCI is featured in VOGUE France. I COULD NEVER BE A DANCER worked on a new TVCF of America for Hanes “Color Wheel” as a choreographer and a casting director. 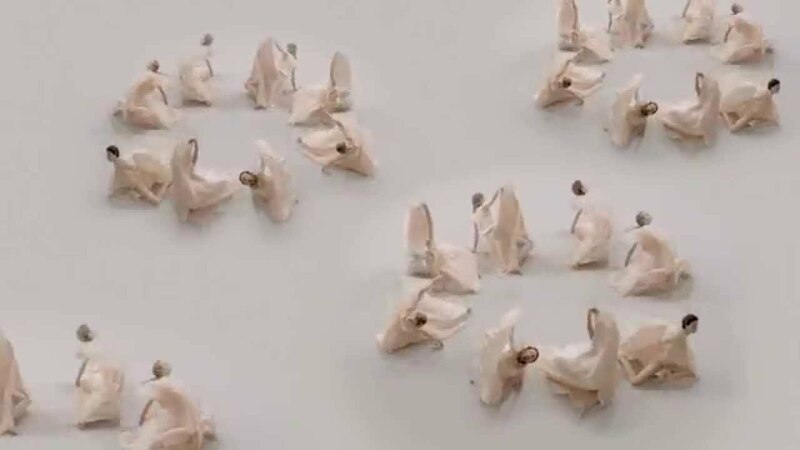 I COULD NEVER BE A DANCER worked for a NINA RICCI’s TV commercial “BALLET BAG” not only as an art director, choreographer, casting director but as a director for the first time. I COULD NEVER BE A DANCER worked on a new film “SHOES UP” for LOUIS VUITTON as a choreographer and a casting director. A live performance, a collaboration project by I COULD NEVER BE A DANCER and Valérie Belin, a French photographer will be held at the Pompidou Centre in Paris on Saturday, April 20th. Based on photographs shot by Valérie, I COULD NEVER BE A DANCER comes up with performances. If you are around in Paris, please check it out. I COULD NEVER BE A DANCER worked on “Rituel pour une métamorphose” for Comédie-Française as a choreographer. 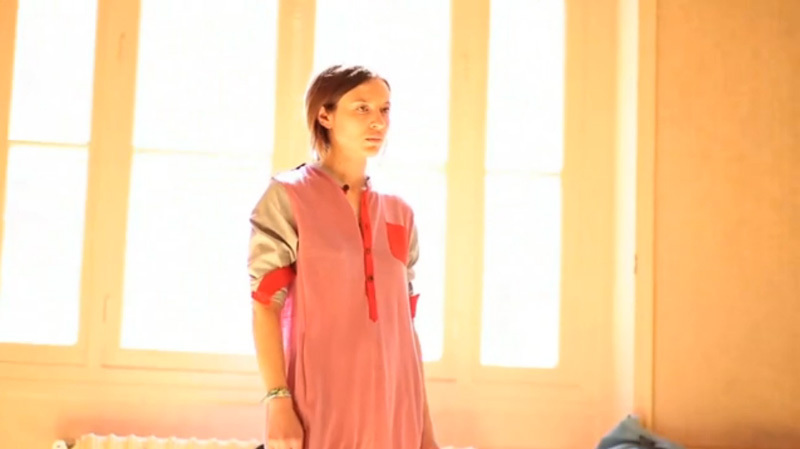 This play will be shown at Comédie-Française Salle Richelieu, Paris from 5/18(Sat) to 7/11(Thu). 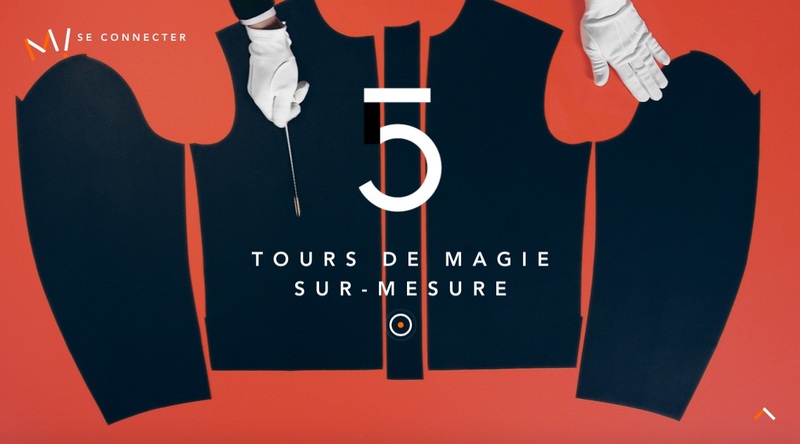 Please check it out if you are around in Paris. A new visual campaign 2013 for Pièce d’anarchive I COULD NEVER BE A DANCER worked on as a choreographer and a casting director is featured in VOGUE PARIS. I COULD NEVER BE A DANCER worked on a new visual campaign for Pièce d’anarchive as a choreographer and a casting director. I COULD NEVER BE A DANCER worked on the latest music video, “The Bait” for Electric Guest as a casting director and a choreographer. Please check it out! I COULD NEVER BE A DANCER worked on a new visual campaign for ANNA RIVKA, a French jewelry designer as a choreographer and a casting director. 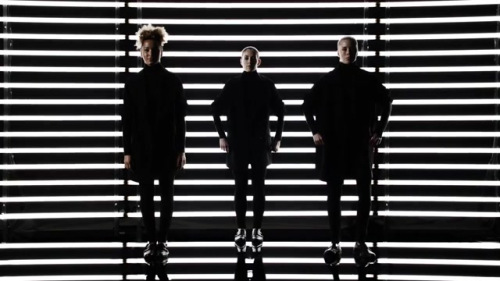 I COULD NEVER BE A DANCER worked on the latest music video,”Yeah Yeah” for Willy Moon as a casting director and choreographer. 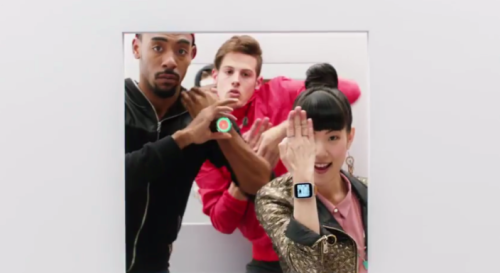 This song is featured in a new TV commercial film for Apple’s iPod. Please check it out! I COULD NEVER BE A DANCER worked on the first international branding film, “OPI – Instinct of Color” for OPI as a casting director and choreographer. They choreographed not only 4 dancers but also a horse 😉 Please check it out! I COULD NEVER BE A DANCER worked on the latest music video, “SUN” for TWO DOOR CINEMA CLUB as a casting director and choreographer. Please check it out! I COULD NEVER BE A DANCER worked on a fashion show for Olympia Le-Tan SS2013 as art director, choreographer and casting director in Paris. The show’s theme was 60’s and Ronnie Spector appeared the show as a special surprise guest by singing “Be My Baby” at the end of show. This show was featured in VOGUE UK, Interview Magazine, NY Times and Opening Ceremony. Please check them out. I COULD NEVER BE A DANCER worked on a premium light down jacket’s collaboration project by UNIQLO and Comptoir des Cotonniers, “Mademoiselle Plume” as a choreographer and a casting director. Carine Charaire, a member of I COULD NEVER BE A DANCER, is featured in “Psycho Color,” the theme of the 12-13 Autumn/Winter UNDERCOVER COLLECTION. I COULD NEVER BE A DANCER worked on a new commercial film for “Dom Pérignon Rosé” as a choreographer and a casting director. Please check it out! 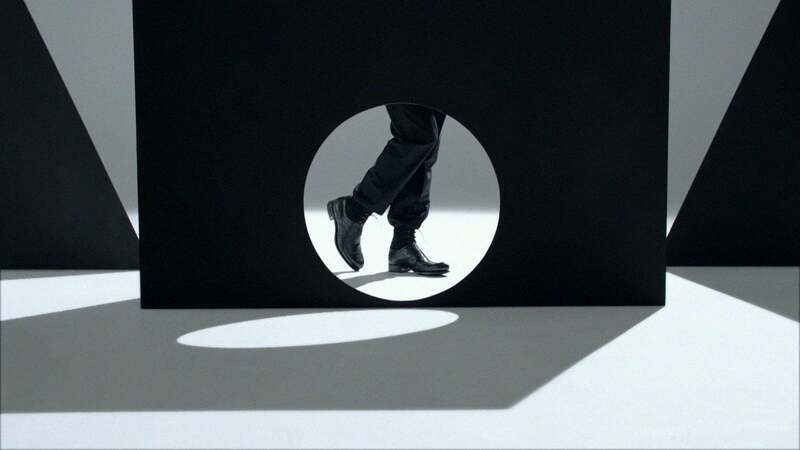 “TED x SUMMIT 2012 INTRO: POWER OF X,” I COULD NEVER BE A DANCER choreographed, has been awarded “Best Young Director’s Award” and “Bronze Award for Art Direction” at the Cannes Lions 59th International Festival of Creativity! I COULD NEVER BE A DANCER worked on new films for “HERMÈS SWINGING SILK” as a choreographer and a casting director. Please check them out. This event was already held at ballrooms in Paris and Brussels. It will come to a ballroom near you in your country, including Tokyo. 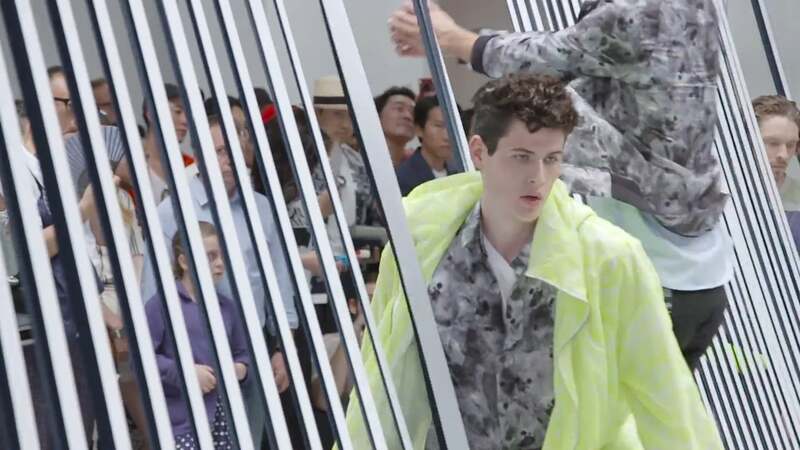 In order to promote their new concept shop in the center of Quatre Temps in Paris, GO SPORT presented a breathtaking show at La Grande Arche in Paris by collaborating a fashion collective, Andrea Crews and I COULD NEVER BE A DANCER on May 3. 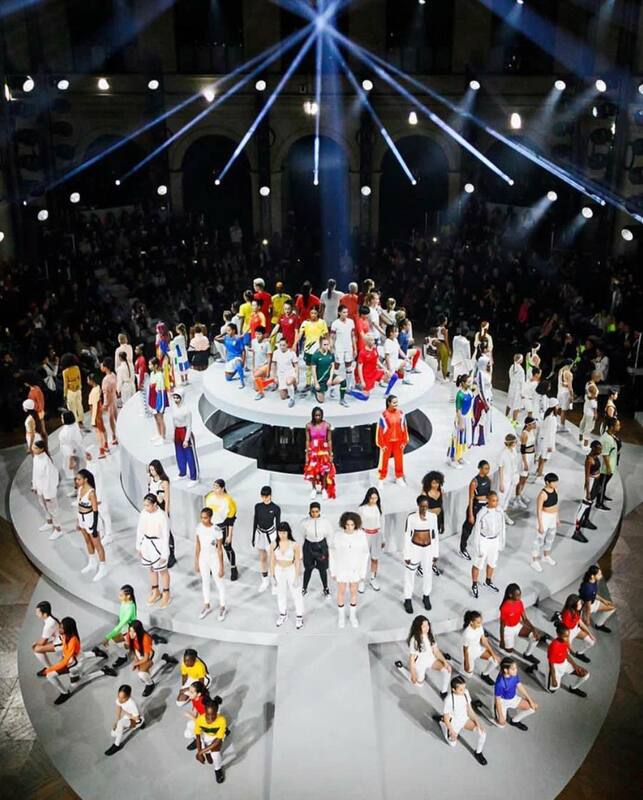 The show’s theme is based on the most iconic sports from basketball to cycling through football, cycling, fitness, dance, gymnastics, sports figures, and fashion parade for a rhythmic and athletic performance. I COULD NEVER BE A DANCER worked on the show as a model coaching & a choreographer. Here is a behind the scenes’ video for “TED x SUMMIT 2012: POWER OF X,” an opening film choreographed by I COULD NEVER BE A DANCER. The project fused architecture, dance, math and magic into a bespoke18-meter high triangular mirrored structure to create the world’s first Human Arabesque without computer graphics. Please check it out with Carine and Olivier’s interview! I COULD NEVER BE A DANCER choreographed “The Power of X” to multiply great ideas for TED x Summit 2012‘s introductory film in Doha, Qatar (4/16-4/20). Please check it out! 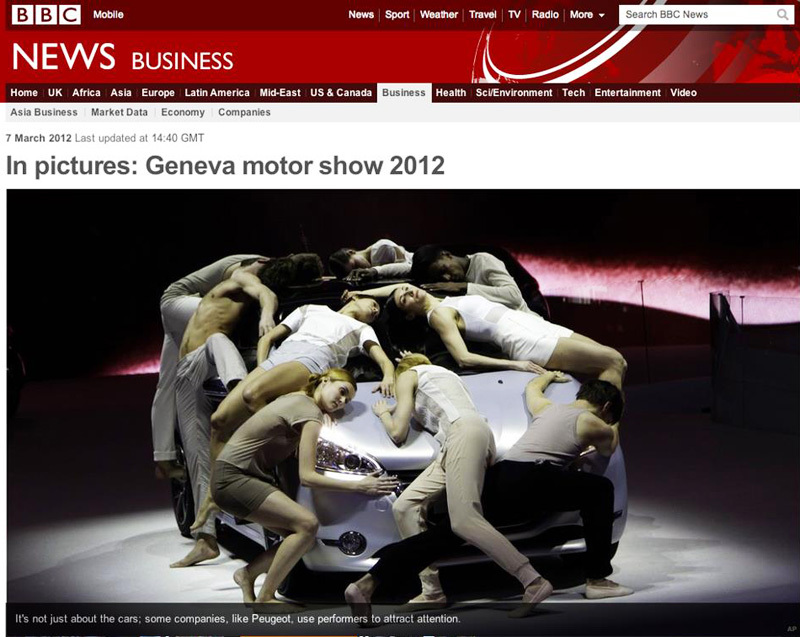 I COULD NEVER BE A DANCER is featured by BBC that they worked on a Peugeot’s promotion at Geneva’s motor show as a choreographer and art director. I COULD NEVER BE A DANCER worked on Peugeot 208, “Let your Body Drive” as an art director, casting director and choreographer at Geneva Motor Show 2012. 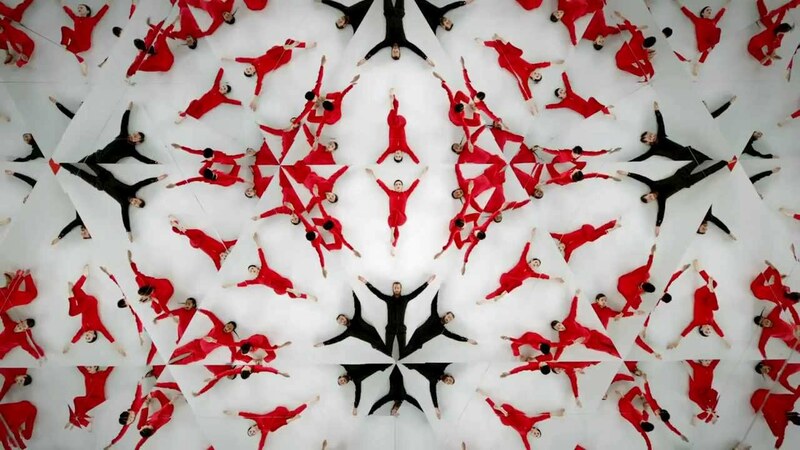 I COULD NEVER BE A DANCER worked on the latest visual image video for BVLGARI (Spring/Summer 2012) as a choreographer. Please check it out. I COULD NEVER BE A DANCER‘s web site is launched. Please check it out. I COULD NEVER BE A DANCER worked on a new nail polish campaign, “SHADE PARADE” for CHANEL as a choreographer. Please check it out!